Tangent Expeditions are able to organise your custom Greenland expeditions for groups of any size. Whatever you want to do in Greenland, we can definitely facilitate it! This is the preferred season for snow based expeditions. This is the preferred season for trekking, boat and technical climbing expeditions. From mid May to mid July, it is only possible to reach any regions by private charter helicopter due to un-navigable fjord ice conditions. Tangent Expeditions are able to provide various levels of service from a fully-guided, custom expedition to purely logistical support for privately led groups. 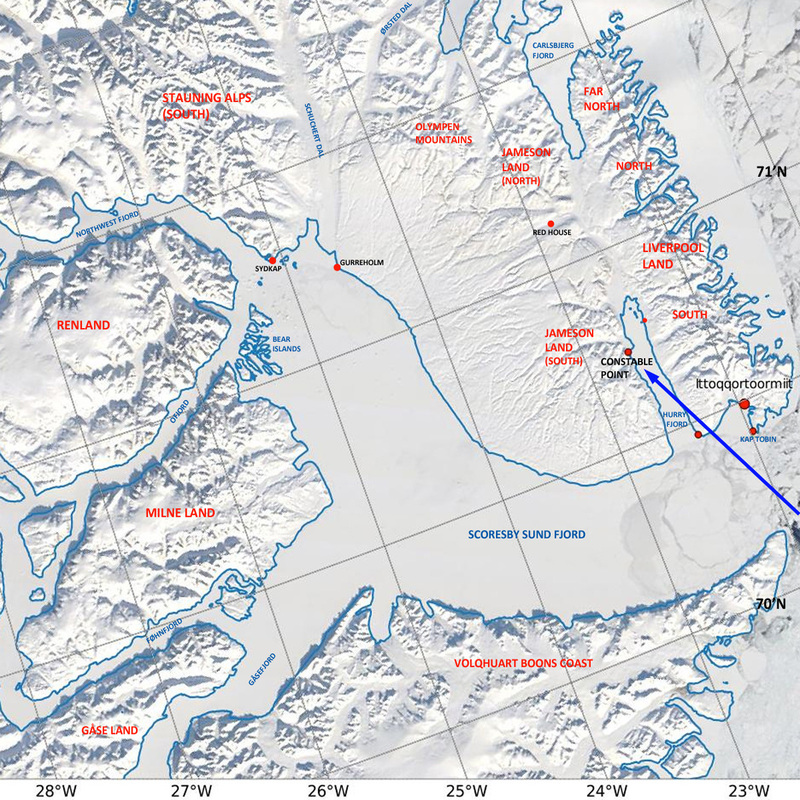 Most expeditions begin from our base at Constable Point in North East Greenland. Custom logistics for other areas throughout Greenland are also availble. To discuss your custom expedition further, please contact Paul Walker at Tangent Expeditions using our Contact Form or directly by email to paul@tangent-expeditions.com. Full insurance is needed for custom trips, available through Tangent Expeditons. More detail is available on our insurance page.